German writer Annette Hess tells DQ about period drama Ku’damm 56 and its upcoming sequel Ku’damm 59, her desire to create a series with strong female characters and why she enjoys writing about the past. The origins of German period drama Ku’damm 56 make for an interesting play on the progression of writers within the country’s television industry. 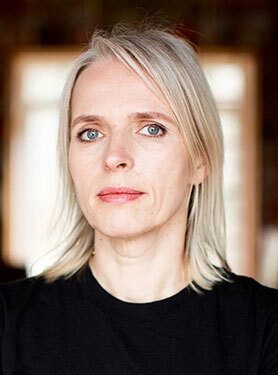 Annette Hess, who had created long-running series Weissensee, was demoralised at the lack of control she had over her own show. So for her next project, she carved out a role as a showrunner that meant she could be hands-on with the programne throughout its development and production. 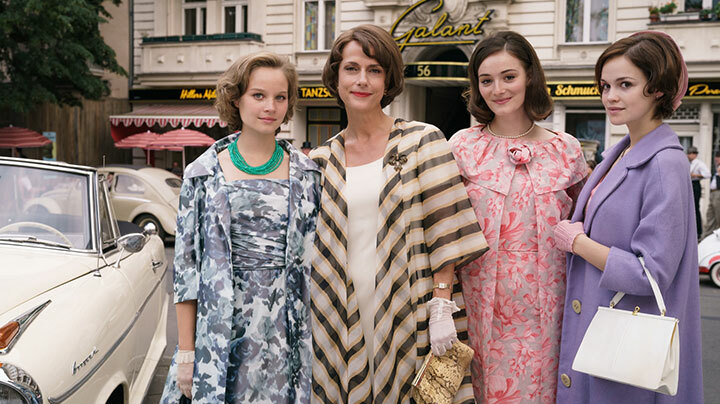 Ku’damm 56, about three sisters finding their way in 1950s Berlin while under the watchful eye of their strict, socially conservative mother, first aired on ZDF in March 2016. Shown over three nights, it was watched by an average of six million people. Its sequel, Ku’damm 59, will debut on March 18 this year. “Ku’damm 56 was the first time I was involved as a kind of showrunner,” Hess tells DQ. “It was on Weissensee that I did not have enough influence to give my opinion, and I didn’t like that very much. I was outside and it was always the director who was the last one to decide. I told my agent I wanted to have it another way next time. Ku’damm 56 tells a story of conflicting generations through Berlin dance school owner Caterina Schöllack (Claudia Michelsen) and her three daughters Monika (Sonja Gerhardt), Helga (Maria Ehrich) and Eva (Emilia Schüle). While Helga and Eva are willing to follow their mother’s wish to see them happily married, Monika rebels against her strict upbringing and falls in love with rock ’n’ roll music. 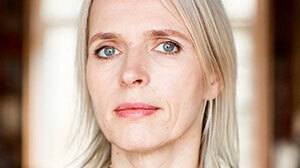 Hess puts the success of Ku’damm 56 down to the music and dancing at the centre of the coming-of-age story. “It’s one you can understand immediately if you have problems with your mother, even if your mother isn’t such a monster as Caterina. Set three years later, the sequel sees single mother Monika fight for custody of her daughter, as Caterina believes the little girl should live with Helga and her husband Wolfgang (August Wittgenstein), as a way to hide his secret homosexuality. Meanwhile, the careers of Monika and her dance partner Freddy (Trystan Pütter) pick up speed under the stewardship of Caterina’s management, while Monika must also confront her feelings for Joachim (Sabin Tambrea). Eva is also unhappy in her marriage to Professor Fassbender (Heino Ferch). Like its predecessor, Ku’damm 59 is produced by UFA Fiction and distributed by ZDF Enterprises. “We always had [a sequel] in mind if it was a success,” Hess admits. “You’re thinking about it in your meetings with the broadcaster and talking about what you could do. For me, it’s always difficult, if it’s a success, to make it even better. Of course, everyone’s expecting it to be better than Ku’damm 56. I told my husband, ‘What can I write?’ It was a long process. But on the other hand, I love to write characters and tell their lives. Now it’s even better than Ku’damm 56. Taking to social media, Hess says she enjoyed hearing from viewers who were willing Monika and potential love interest Joachim to marry. Monika rejected Joachim in Ku’damm 56 but he returns in the sequel. Ten years ago, Hess wrote a series called Die Frau vom Checkpoint Charlie (The Woman from Checkpoint Charlie), a TV movie for Arte based on the true story of a woman who is separated from her children while escaping 1980s East Germany. While it was a big success, Hess says she is now far removed from this “simple” kind of story that was made at a time when something like Ku’damm, with a cast of complex characters, would not have been produced. Now she’s fighting to bring more complicated females to the screen. “Female movies are the more soapy movies and the others are crime stories, mostly with strong men, and women are prostitutes or drug addicts,” she says of the German industry. “I’m exaggerating but it’s a big issue for me because it’s a real problem. It’s a kind of regression. You can see it in the directors – 20% of directors are female, the same with writers, and these 20% are writing mostly the soapy stuff while men are writing the interesting projects. It’s not moving, so for me it’s now very important. Future series from Hess are likely to continue to live in the past, as per Weissensee and the Ku’damm shows. She’s now also writing an adaptation of Wir Kinder vom Bahnhof Zoo (The Children from Bahnhof Zoo), an autobiographical book by Christiane F, who Hess describes as “the most famous drug addict in the world.” The series is set in Berlin in the 1970s. One of the UK’s most popular dramas, Call the Midwife, has been renewed for three more seasons. The feel-good show, created by Neal Street Productions for BBC1, launched in 2012 and has so far run for five seasons. The new commission means three more lots of eight episodes as well as the bonus of three Christmas specials. To date, the show has attracted an average of around 10 million viewers per episode each season. 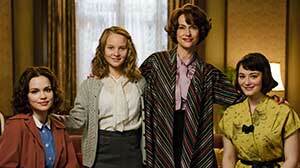 So far it has been rooted in the 1950s but will now tackle the social upheaval of the 1960s. 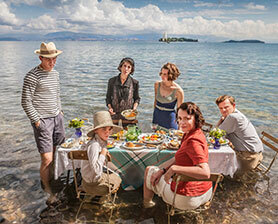 His network has recommissioned The Durrells and is also about to launch another feel-good show called The Good Karma Hospital. Produced by Tiger Aspect, the programme is set in a coastal town in tropical South India. It follows the story of a British-Asian junior doctor who arrives at the run-down Good Karma Hospital to join a dedicated team of over-worked medics. The feel-good factor is also producing some positive results in the US this season. The best example of this is NBC’s comedy drama This Is Us, which launched this year. Eight episodes in, the show is attracting a rock-solid 9-9.5 million viewers and is generally regarded as one of the best new dramas of the year. It’s too soon to call this a trend but there are a few other shows that suggest the US audience is receptive to shows that put a positive spin on life’s challenges. In the comedy arena, we’ve seen breakout hits like Modern Family, The Goldbergs (both ABC) and The Unbreakable Kimmy Schmidt (Netflix), while in drama there have been successes like The CW’s Jane the Virgin and TV Land’s Younger. The latter show, which was recently renewed for a fourth season, is the channel’s top performer with an audience in the 500,000 to 600,000 range. Around the world, the emphasis still tends to be on crime series, with France and Italy in particular making their mark with hard-boiled series such as Spiral and Gomorrah respectively, to name a couple. Indeed, The Economist went as far as calling Italian political drama “the new Nordic Noir.” But there is a decent array of international shows that can be categorised as feel-good, inspirational or life-affirming. Keshet’s Yellow Peppers was a big hit in Israel before being adapted successfully as The A Word for the BBC in the UK, while UFA’s Ku’Damm 56 has been one of the breakout shows of the last year for ZDF in Germany. Even the gloomy Nordics have series like Rita and The Legacy in among their crime noir shows. One of the region’s recent hits is Next Summer, a comedy drama that satirises the idea of the idyllic, cosy family summer holiday at a getaway. A hit for TV Norge/Discovery in Norway, Next Summer is now up to three seasons and is being remade for Kanal5/Discovery is Sweden. (There has also been talk of a Fox remake coming to the US market). Australia’s contribution to the feel-good revolution is Seven Network’s The Secret Daughter, a musical show that stars former Australian Idol contestant Jessica Mauboy as a part-time indigenous pub singer whose life changes forever when she meets a wealthy city hotelier. Produced by Screentime, the 10-episode first season started in October and received some positive notices from the press at launch. Now six episodes in, it’s posting a respectable one million viewers per episode (with consolidated viewing included) and has been renewed for 2017. The Koreans also manage to make space for some upbeat shows – the best recent example being KBS2’s Oh My Venus. In this series, a Korean personal trainer working in Hollywood returns home after a scandal involving an American actress. Back on Korean soil, he becomes emotionally involved with a former teen star who is now an out of shape 33-year-old lawyer – cue romance. There’s a similar ‘coming home’ vibe to Fox Turkey’s In Love Again (Ask Yeniden). In this case, two young people go to the US (separately) to start new lives, but the American Dream turns sour for both of them. They meet on the plane home and, embarrassed to admit the truth to their families, pretend to be married. 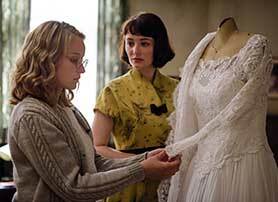 Fox has also enjoyed success with Cherry Season, which focuses on the tangled lives and loves of a fashion designer and her friend. In the world of telenovelas, there has always been a steady flow of upbeat or uplifting shows such as Ugly Betty, The Successful Pells, Rebelde Way and the original Jane the Virgin. One title about to hit the market is Telemundo’s La Fan, which tells the story of a happy-go-lucky woman from a poor background who is a passionate fan of a famous telenovela actor. One day, a twist of fate brings the two of them together. At first, he hardly notices her, but before long he can’t imagine his life without her. The big challenge with feel-good drama is making sure it doesn’t skew too heavily towards the female audience, with most of the shows in this area relying on strong female leads. However, many of the above examples have proved it is possible to create a cross-gender, cross-generational hit with the right story. 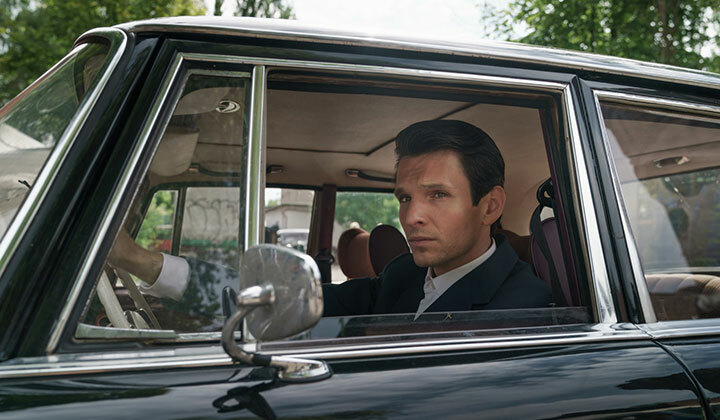 Fresh from the global success of Cold War drama Deutschland 83, Germany’s UFA Fiction is now exploring the political and sexual revolution of 1950s Berlin in Ku’damm 56. Michael Pickard reports. A tree-lined boulevard filled with shops, restaurants and hotels, Kurfürstendamm is described as the Champs-Élysées of Berlin. Dating back to around 1542, the 3.5km-long avenue – known as Ku’damm – is now home to an array of fashion houses and boutiques. But in the 1920s, it was the burgeoning scene of many theatres, cafes and nightclubs. 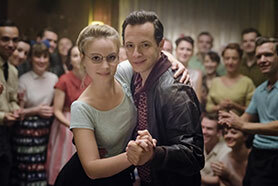 It is also the setting for a new German period drama that has dancing at its heart. Ku’damm 56 tells the story of Caterina Schöllack (Claudia Michelsen), a dance school owner who has three daughters, Helga, Eva and the rebellious Monika. When Monika tries to break free from her mother’s strict social conventions, she begins a search for female equality during a time when women are becoming increasingly unwilling to simply stand by their man. Produced by UFA Fiction for German broadcaster ZDF, the three-part miniseries is written by Annette Hess and directed by Sven Bohse. UFA Fiction has been enjoying success on the international stage with Second World War drama Generation War (Unsere Mütter, unsere Väter) and Cold War spy thriller Deutschland 83, which became the first German-language series to air in the US after it was picked up by SundanceTV. It has now been sold to 20 broadcasters and online platforms worldwide. The production company’s latest story is set in 1956, between the events of those two shows, and focuses the changing role of women 11 years after the end of the Second World War. Nico Hofmann, CEO of FremantleMedia-owned UFA, says: “This is the first time a show has focused on women and tells the story of sexual liberation in the 1950s completely from a female perspective. Alexander Coridass, president and CEO of ZDF Enterprises, which distributes the series internationally, continues: “It’s the beginning of the sexual revolution. Don’t forget 1956 is only 11 years after the war – even some prisoners of war had only just returned. Hofmann is no stranger to using his series to start debates, following the controversy that surrounded Generation War’s depiction of the Nazi era and the subsequent conflict. Now he hopes the story of women finding their way in post-war Germany will spark new discussions. “It’s a huge topic in Germany,” he says. “It’s very unique because you had a situation where you can say modern Germany was founded by women. There were no men. It wasn’t the same situation as in France or the UK. You had a lot of POWs coming back 10 years later. There were six million men killed. It’s a female society. Beyond the role of women, Ku’damm 56 – which will likely be called Berlin 56 for international viewers – also offers an opportunity to look at other emerging trends of the era, such as new fashions and the rise of rock ‘n’ roll music. In particular, Hofmann also says he plans to work more closely with Jens Richter, the CEO of distributor FremantleMedia International, and other drama producers within Fremantle’s production group. Other projects currently on UFA’s slate include three-part spy drama The Same Sky; Breaking News, about a war correspondent operating in Israel in the 1920s; and Hitler, an eight-hour biopic examining events from the Nazi leader’s rise to power to the Second World War. Based on the book Hitler’s First War by Thomas Weber, it has already been pre-sold to TF1 in France. Another UFA drama, Nackt unter Wölfen (Naked Among Wolves), which tells the story of a three-year-old Jewish boy who is smuggled into the Buchenwald concentration camp in March 1945, has been sold by Global Screen to networks including SVT in Sweden, Spain’s TVE, DR in Denmark, Mediaset in Italy and KBS in South Korea.